The Tastemaker Top 10 is a collection of 10 questions asked by me and answered by some of my favorite bloggers. Here they will tell you a little bit about themselves, their blogs, and of course, their favorite foods and restaurants. Today we're talking to a blogger who is very familiar to A Squared readers: my friend in blog life and real life, Kit from food blog The Kittchen. Not only does she write of both the Windy City Blogger Collective and Cinq: A Chicago Food, Wine, & Social Club. She also wrote and published her own cookbook entitled The Gourmet Grilled Cheese. To say that she is busy is an understatement! The Kittchen is filled with original recipes, Chicago restaurant reviews, and a little bit of travel. I love to create recipes that are practical for people with a busy life. My recipes tend to be easy and relatively healthy. The Windy City Blogger Collective is a website and community for Chicago bloggers. We write content to help bloggers learn more about blogging, lead educational talks, and host networking events. The WCBC was founded by a group of 5 Chicago bloggers, including myself. 1. Favorite meal, food, or cuisine: Italian food. Anne - you know that I love this just as much as you! My mom is half Italian so I grew up eating lots of Italian food. Then I studied abroad in Florence and learned the joy of fresh pasta. 2. Least favorite meal, food, or cuisine: Seafood. And I am from Maine. Go figure. 3. 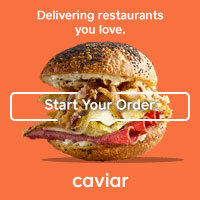 Favorite restaurant in your city: Chicago has some seriously amazing restaurants. I am going to say Eataly because they have the best of everything: thin crust pizza, fresh pasta, a wonderful wine selection, cheeses, appetizers, you name it! Eataly is a fun experience and I am so glad they came to Chicago. 4. Favorite restaurant outside of your city: Artichoke Pizza New York City, I have been known to bring it back to Chicago with me. 5. Favorite food memory. The bakery next to the school I went to in Florence. I remember going to an early morning class a few times a week, and the city was mostly sleeping still. As I approached my school, the smell of the bakery next door would take over. In the afternoon I would treat myself to my favorite chocolate tart. 6. Favorite guilty pleasure food: Cadbury Mini Eggs. Every Spring I buy 1 bag, and slowly (or not so slowly...) eat the entire bag. Then I am done until the next year. 7. Favorite ingredient (something you love to cook with, or something you see on a menu and know you have to order): Lemon! A hint of lemon adds that little someone every dish benefits from. 8. Favorite kitchen tool, utensil, product, etc. : Tongs! I just got them and can't believe how often I use them. I think I am burning myself less now too! 9. 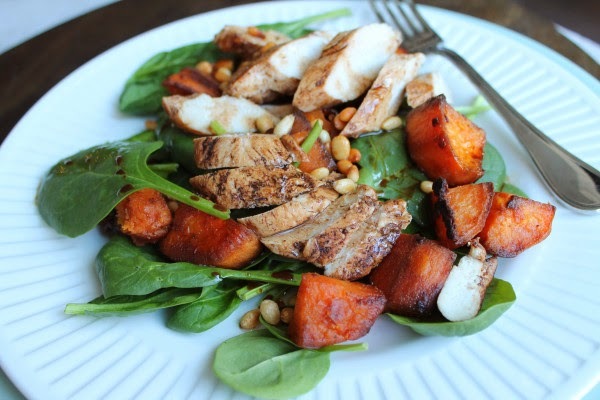 Favorite recipe: My mom and I are both loving this Balsamic Chicken and Sweet Potato Salad. We live 1400 miles apart but we have both been eating it lots recently. 10. Favorite thing about blogging: The people! The Chicago blogging community is nothing short of amazing, which inspired the creation of the Windy City Blogger Collective. It is the friendliest most inspiring group of people. Up Close and Tasty, Regan's Photography is stunning and her recipes are so well written. Thanks so much for your thoughts, Kit!